This wondrous fish brought together roughly 200 people each year. Before Laura Houston Santhanam's great-grandfather died, his family made him a promise. Who knew they'd keep it with catfish? For decades, generations of my family gathered over plates piled high with freshly fried, farm-raised fare at catfish houses scattered across northeast Mississippi to make good on a promise made to my Granny's daddy. Before he died, he asked his children that no matter how many miles separated all of them, they would never grow apart. Enter all-you-can-eat fried whole catfish. Some sad souls, bless their hearts, dismiss the catfish as a bottom feeder. But this wondrous fish brought together roughly 200 people each year, signaling the start of what became the annual Turner family reunion. 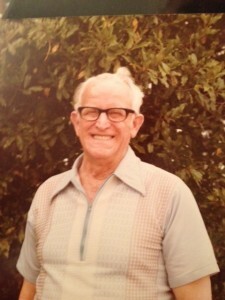 On the third Friday of every June, Turners from as far away as Walla Walla, Wash., Dallas, Texas, and Kenosha, Wisc., descended upon Tupelo, Miss., my hometown and near where Papa Turner raised his 13 children, working as a cotton farmer during the Great Depression and World War II. Those of us who stayed in Tupelo opened our houses to the out-of-towners. Many of my cousins, aunts and uncles cashed in their year's vacation for this trip, and all salivated at the prospect of relishing that first taste of home -- catfish -- at one of several catfish houses in or near the county. When I was growing up, to see one catfish house was to see them all, although Malone's was a family favorite until it burned down. The restaurant was a simple structure with forgettable vinyl siding. I could smell the fish and hushpuppies frying when Momma drove us onto the packed gravel parking lot, tucked away in the piney woods near the Lee-Pontotoc county line. These bustling restaurants only opened for the weekends, guaranteeing the freshest fish to us who waited sometimes more than an hour for all of the Turners to be seated. The dark wood-paneled walls were barely enough to contain the chatter and sheer number of all of us Turners. Iced, syrupy sweet Lipton tea filled every plastic glass on the particle-board tables, and each folding chair held someone catching up on a year of family news and gossip. Wax paper-lined red plastic baskets filled with hushpuppies, those zesty balls made of fried cornmeal and minced Vidalia onion, were fetched from the fryer. Children squirmed for a chance to play with cousins. As a child, boneless filets and fries magically showed up in front of me on the table. It wasn't until I reached my teenage years that I embraced the namesake dish at these catfish houses. The menu was just a formality reserved for first-timers. My order, like just about everybody else's, was a foregone conclusion: Whole fried catfish. Orders took a while to emerge from the kitchen, but on those June weekends, we Turners had nothing but time. With it, we talked and tried to make the miles and months melt away. What finally appeared before me was a plate full of cornmeal-battered, golden-brown, deep-fried whole catfish, crispy fins intact. The white fish was seasoned with salt, black pepper, cayenne pepper and a blend of spices. Its taste was as fresh as could be. Slices of raw white onion and lemon wedges came out in small, plastic pudding bowls for those who knew how and when to use them. Each bite was hot, flavorful perfection. The gritty cornmeal complemented the tender, flaky catfish. But there was more to it. Granny and Aunt Delta demonstrated the value and wisdom of "waste not, want not" by snapping off the fried fins and biting into each of them like a potato chip. They had the same crunch, and the not-too-fishy taste was savored as a delicacy. This meal set the tone for a reunion weekend of swapping memories and making new ones. For the next few days, food reminded us of the warmth of family, the feeling of closeness that hundreds of miles unsuccessfully threatened. 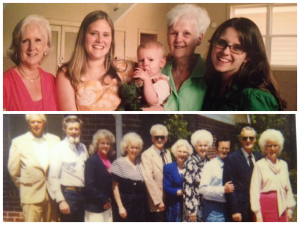 Year in and year out, Turner family reunions followed this wonderfully familiar rhythm. By the end of the weekend, we all returned to our jobs, school and normal life with a sense of connection that we savored as long as we could until next June came around. That is how it once was, but things changed. 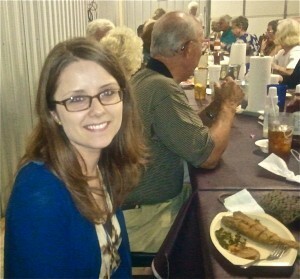 The location switched to an all-you-can-eat catfish buffet. No longer did the long-anticipated appearance of freshly fried catfish punctuate conversation the way it once had. The quality was all right but never the same. As Granny's brothers and sisters passed away, one by one, turnout for reunions became more sparse. Granny herself will have to miss this year's reunion for the first time since they started. She died recently, two Mondays after Mother's Day. I cannot bear to think about what the reunions will be like without her, or any other family gathering for that matter. These days when I get into the kitchen, hundreds of miles from home and her, I turn to recipes she once made and brought to get-togethers -- chess pie, candied yams, chicken and dressing -- and think of my Granny. That is the magic of food, especially in the South and particularly in our family. Whether it is catfish, Granny's pecan pie or an aunt's garden-grown black-eyed peas and homemade cornbread, food forms the focal point of all major events and holidays and brings people closer together. On those June weekends, however different they may be nowadays, it continues to give us a chance to honor our promise to Papa Turner and each other.